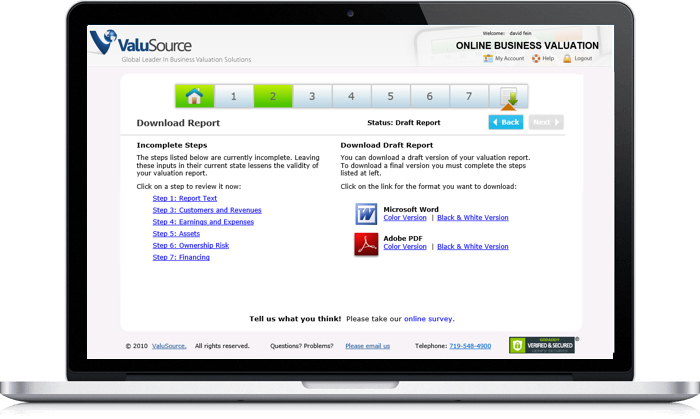 ValuSource markets itself as the leader in business valuation data and software services. 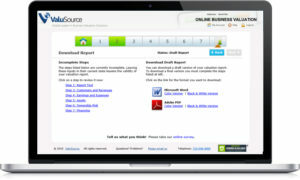 They offer lots of different types of software, all designed for different types of users. 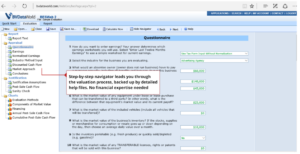 Here the focus is on the three tools created for business valuation: Online Business Valuation, Business Evaluation Systems and their bestselling calculator, ValuSource Pro. On the front page, the user can choose a matching profile, which directs them onward and recommends a most suitable product. Online Business Valuation is meant for owners planning to sell their business. This is a web-based service, unlike the other two. The service uses eight valuation methodologies and database of more than 35 000 comparable businesses. 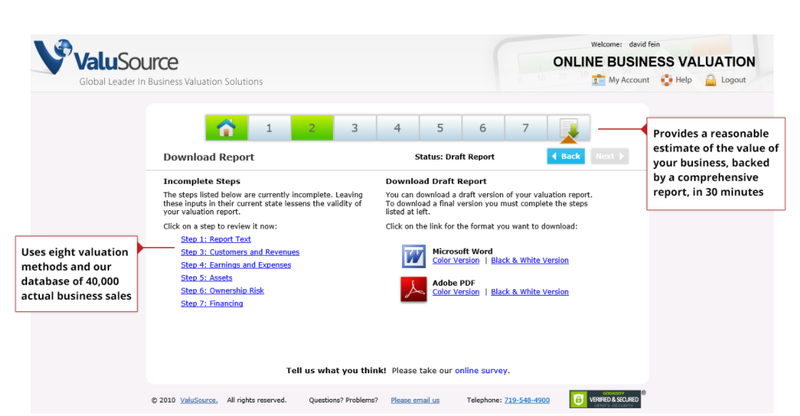 Based on these, the Online Business Valuation estimates the value of the business and provides a 38-page report. 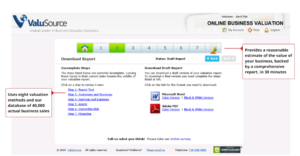 It allows the user to download the report in Word or PDF format. Business Evaluation Systems is targeted to brokers, who wish to conduct business valuations. 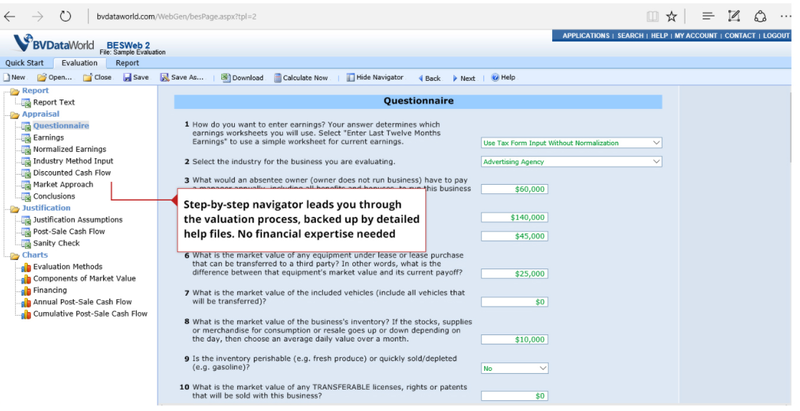 Like the Online Business Valuation tool, this option is claimed to not require any prior knowledge on valuation. However, the interface is more complicated. The Business Evaluation System differs from the previous option in that it allows the user to assign weights to all the eleven different evaluation methods it uses. ValuSource Pro is targeted mainly for those users who are already familiar with valuation and it produces a formal appraisal as a result. 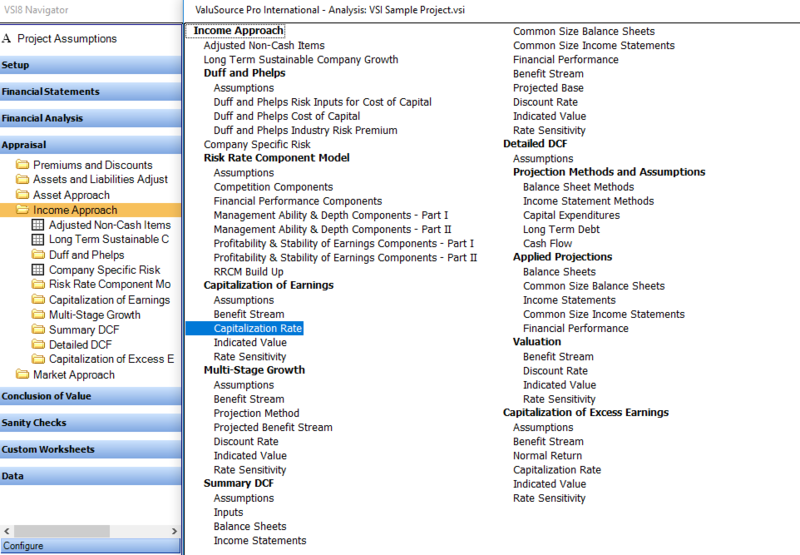 Compared to the other two options, ValuSource Pro uses a respectable 18 methods to determine the value of a company: three asset-based calculation methods, five income methods, and nine market approaches. The user can also easily input market data into the system. The Sanity Check category includes two What If- spreadsheets that help the user to estimate performance and valuation in an alternative scenario. 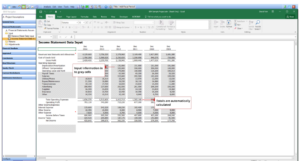 If the user already has existing numbers in Excel, they can be imported into ValuSource Pro. ValuSource Pro also uses a lot of graphs to illustrate the information. 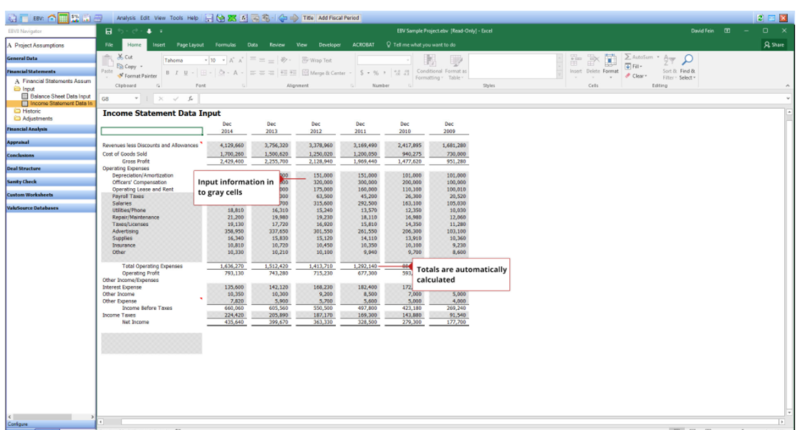 The software uses Excel for data input. It may seem a bit confusing at first how the calculator and the spreadsheet go together, and therefore it is important to keep in mind to use the software’s toolbar instead of Excel’s. Working with the spreadsheets requires precision as the cells are not frozen and accidental scrolling may misplace the input numbers. The sidebar makes the software easy to navigate. If the user is not sure what ratio they are looking for, the long list can look quite heavy and slow to use. The results given are comprehensive and categorized under respective approaches. 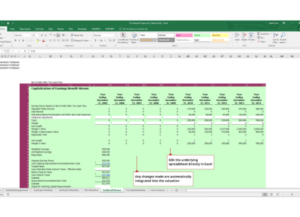 For example, if the user is interested in the calculations for the appraisal done by using the income approach, they can view all detailed calculations related to DCF. 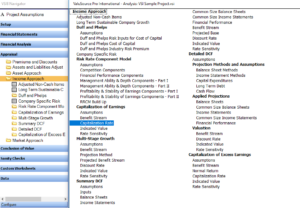 An important benefit of any ValuSource software is their extensive video tutorial library on how to use the software and the composition of some key figures needed in valuation. The user may find the process of purchasing the product slightly difficult. The webstore offers a wide list of different bundles and packages, and it is not immediately clear, what features are included in each option. The same list also includes books related to valuation.